168 Peachtree Cir, Mountain Brook, AL.| MLS# 829021 | Richard Jacks UABLIVING.com 205-910-2297 | Birmingham AL Real Estate | Contact us to request more information about our Homes for Sale in the Birmingham AL area. 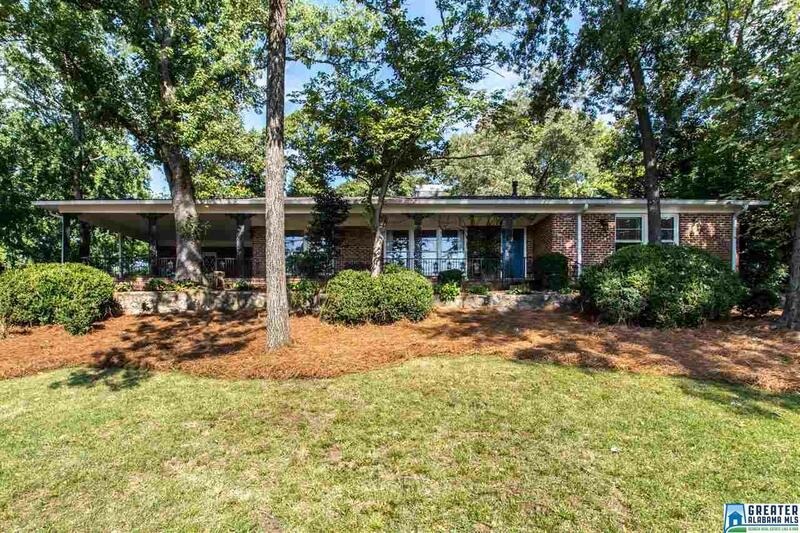 Crestline home sits atop ridgeline on Peachtree. Exterior features - lovely views, charming flagstone patio with two water features, backyard play area & circular driveway. Interior has beautiful hardwood floors, crown molding, floor-length windows & large rooms - great flow for entertaining. Large living room with wide cased opening to elegant dining room. Swing door in dining room opens to eat-in kitchen with crisp white cabinets, counter bar, glass door to patio, gas cooktop, double ovens & stainless fridge/freezer. Den, accessed from kitchen & living room, has built-ins, floor-length windows & glass door to patio. Three spacious bedrooms, two baths & powder room in home. Master bedroom is extra-large & includes sitting area, two closets & floor-length windows with beautiful views! Other features include one-level living, cedar-lined closet & extra walk-in closet in hall, large laundry room/mudroom off kitchen, carport & great location - be on Euclid or Montclair in seconds!